What initially sparked my interest in MovNat wasn’t the incredible feats of physical prowess demonstrated in so many of the videos, but the way it changed my perception of movement. When I first watched the video “The Workout the World Forgot” I was amazed and impressed by Erwan’s physical ability and control. I was struck by the beauty of the movement quality and poured through every video that I could get my hands on. It was Erwan’s words though, not his actions that ultimately hooked me. He was describing movement in an evolutionary context. With one word he changed how I perceive fitness. Practical. Practical, in that, movement was determined by our evolutionary biology to allow us to adapt and thrive in our natural environment as all other animals do. But also practical in the immediate sense of the word. Swimming out to save someone from drowning, or running away from danger. He described this idea with such detail and precision that it changed the way I fundamentally viewed movement. It’s as if I had been eating cold vegetables separately for years not knowing they were ingredients that could be put together to make fulfilling and heart-warming soup. Fast forward a bit, and I recently attended a MovNat Level 1 certification with Danny Clark this past January. As a Physical Therapist, I was asked to give my perspective on what the certification was like, and of course, I’m happy to do so. 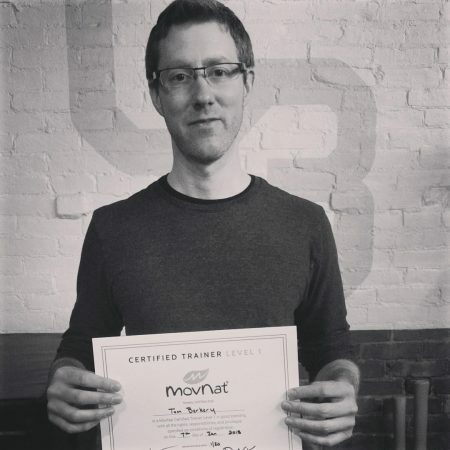 I have been excited to attend a MovNat certification for years, and I can say that my level 1 certification taught by Danny Clark did not disappoint. 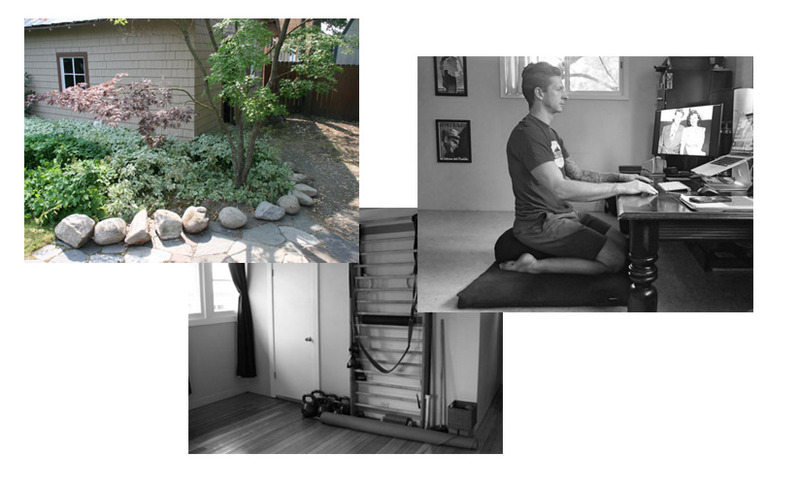 Getting ready one week prior to my MovNat certification I found myself experiencing that mental shift in a more immediate way. I was awakened at 2am by my son who was having a hard time breathing with a croupy-cough. I picked him up, let him rest his sleepy head on my shoulder and adjusted a sick and crying 40-pound load. I held him in my arms as I turned on the hot shower and stood in the steam. I walked outdoors, trying to stay steady on the icy front porch to let the cold winter air help open his airways. My thoughts were not on the bio-mechanical details of movement. I wasn’t concerned with my physical appearance, my fitness, how much exercise capacity I could endure. The only thing that mattered was a sick child who needed his father. I had been practicing on my own since attending the MovNat Elements class with Dr. Christa Whiteman several months earlier. I was enjoying this new model of movement practice while preparing for the certification. The ground movements were helping me stretch and strengthen in ways I hadn’t felt before and I was noticing the way my body was feeling and changing. But the night my child was sick, movement wasn’t a study, a discipline or a contest, it was a necessity. It was a form of compassion and a way to care. I thought about how my training had literally mirrored this task; and the real-life practicality of this way of training became so tangible in that moment. Natural movement is vital, it is practical, and it is important. My Certification Experience Was Awesome! The certification was an incredible amount of fun. I knew my muscles would be sore but didn’t realize some of those muscles would be in my face, I don’t think I stopped smiling for three days straight! (And my feet – holy-moly – my feet were tired, they aren’t joking when they say you need strong feet). Everyone who attended was helpful, supportive and ready to learn. 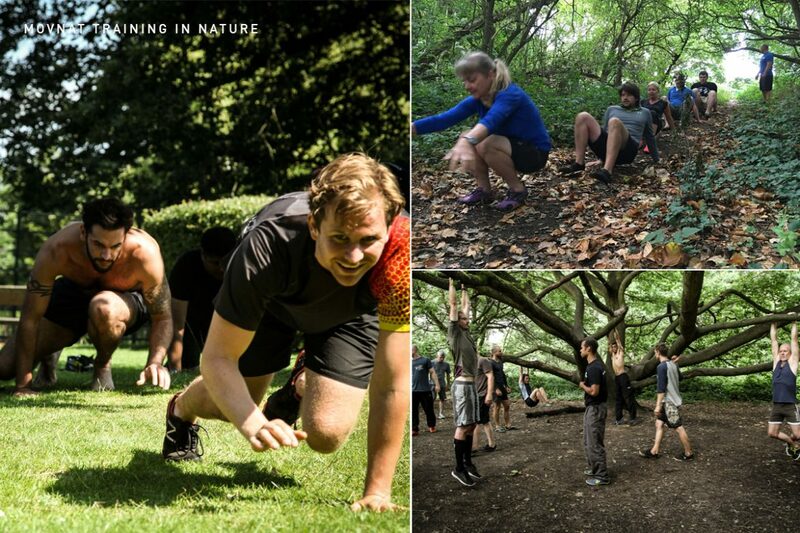 We were there for a diversity of reasons and with diverse movement backgrounds, but everyone was willing to dig into the course and have fun while doing it. 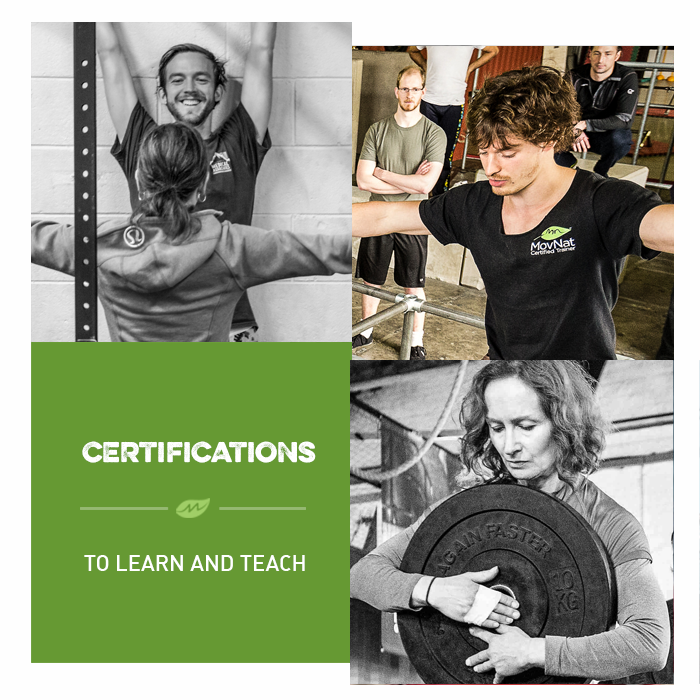 Those of us going through the certification process were obviously interested in learning how to teach, while others were interested in MovNat more for their own personal practice. There was a range of ages and physical abilities. Some attendees were yoga enthusiasts who breezed through impressive pretzel-like poses between breaks. Other participants came in with incredible levels of strength and looked capable of deadlifting three of me put together. Regardless of the specific aptitudes of the participants all of us had strengths and weaknesses. As we went along through the different movement domains it became apparent that there was something for everyone to get out of it. While sitting in a low squat looked easy for the yogi, it was more of a challenge for others. Movements requiring more muscle bulk played to the strengths of the muscle-bound individuals. It was fun and surprising to discover some of my own strengths and weaknesses when moving through the different movement domains. Some things I assumed I would do well with turned out to be harder than I thought, some intimidating movements came more naturally. Even though I had been practicing MovNat in advance, there is no substitute for direct professional level coaching. With Danny Clark I felt confident that I understood the information and I plenty of practice to let it physically sink in. Danny walked us through the MovNat system in a methodical, progressive way. I loved the approach of “Show, Tell, Do”. First, he would demonstrate the full application of a movement. Then he talked about why we would do this movement, and explained how to do it efficiently. Finally, we started practicing, beginning with the “easy” version and working up from there. By the time we had finished I felt confident I was moving as efficiently as possible. It was nice to go through the progressions and regressions, so I could practice at whatever level was most appropriate. This way of teaching also provided a good base of variations so that I could integrate these movements when working with my patients. I spend a lot of time thinking of what smaller movements people can start with, and how to progress from there. I enjoyed this more direct approach of starting from the full practical movement and working backwards only if needed. This was one of the most ingenious concepts of the system! MovNat’s tagline, “safe and accessible for everyone” really is true. I work with a wide variety of patients with orthopedic, neurological conditions, and sports-related conditions, and I can honestly say that I can use the techniques and movements I learned within the level 1 certification for every type of patient. Here are some examples. The ground mobility techniques we practiced with Danny (rolling, transitioning, etc.) apply perfectly to bed mobility for spinal cord injury and stroke patients. Using a medicine ball to sub for a baby would apply for pregnant mothers with back pain learning how to squat, bend and lift. The balancing techniques we learned are ideal practice for older adults trying not to fall in the snowy weather. Although we learn some of these movements during PT school, the direct instruction and hands-on practice during the certification of all the variations of movement domains was extremely useful. Patients don’t care which muscle they are working, they want to know the straightforward concrete instructions on how to work on getting back to living life. Rehabilitation professionals, let’s have a side conversation for a moment here. We can agree that MovNat is not the sole owner of these movements. The movements are seen throughout the developmental sequence, they’re practiced in sports, in gyms, and throughout people’s day-to-day lives. That’s one of the reasons the natural movement patterns taught throughout the MovNat system are considered Instinctual and Universal. Instinctual meaning that we learn to go through these movements as we are growing up. And Universal meaning that natural movement patterns are found all over the place, in different cultures, regardless of age, race, culture, etc. The purpose of MovNat is to become more efficient with the whole spectrum of available natural movements. The goal is to break down the movements and improve the quality. Practicing jumping doesn’t require instruction, but learning to apply difficult jumps and landings to small surfaces requires smart progressive coaching. I didn’t need this certification to learn how to carry a load. Instead I learned how a combined center-of-mass when carrying a load necessitates a weight shift backward and that shifting weight to my heels while maintaining a tall standing position with deep diaphragmatic breathing helps me carry a load efficiently without back-pain. The promotional videos showcase the more dynamic adventurous movement patterns, but don’t be deceived by the flashy stuff! I firmly believe that what we learned and practiced in the level 1 certification is safe and applicable for everyone. Not once during the certification did I feel pressured to do something I wasn’t comfortable doing, nor were there any safety hazards (And anyone who works in the world of rehab knows that our eyes are constantly scanning for possible injurious scenarios). When reading through the MovNat level 1 manual, it is spelled out very clearly how important safety is in this method. I would feel comfortable with any of my patients practicing with a MovNat trainer since there is so much focus on proper technique. Yes, MovNat is for your patients! I have been applying the techniques and breakdowns with my diverse patient case load with great success. I have used the crawling and ground transitioning to work on bed mobility for a patient with a T6-complete spinal cord injury. I have used the get-up variations to help a patient post total-knee replacement get up and down from the ground safely to play with her grandchildren. I’ve had patients practice crawling variations to improve core control for back pain. This has more practical application than many other commonly prescribed exercises. The best way to explain what I’ve been using is to separate it into three domains of my life. Separating life into parts is a bit artificial, but roll with me here. The first domain I’ll discuss is my professional practice as a Physical Therapist. I work in a clinic where we see a wide variety of patient populations with a range of functional abilities. I’ve been working the practical movements into patient’s practice with great results. People like to see the purpose of their exercises. It’s empowering to connect the dots for patients as to what is the movement they want to use in day-to-day life and what are some of the steps we need to go through to get there. For example, someone who can’t get up from the ground holding their young child due to lack of ankle stability really can benefit from the ground transitions in preparation for floor to stand transfers. Even the philosophical shift in thinking of efficiency versus “working-out” is helpful to explain to patients. For example, a patient who has Muscular Dystrophy has to be very careful to conserve energy expenditure during functional tasks. Efficiency of movement is more than theory for these individuals, it can be the difference between serious injury and staying safe. 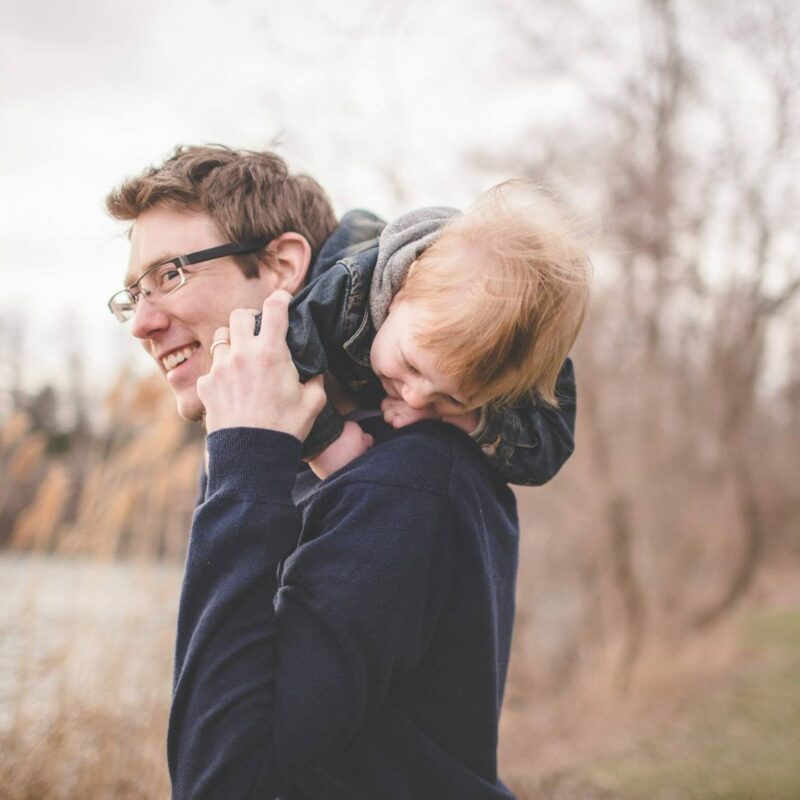 The second domain of my practice is how I interact with my children. While watching my kids play I can easily see where the MovNat developmental progression comes from. My daughter sits like Erwan, or maybe it’s better to say that Erwan is still capable of sitting like my daughter. I watch the kids get up and down from the ground using all of the movements we went over in the certification. Playing with my kids on the floor has become a way to practice and refine my ground mobility and my get ups. When giving the baby a bath I might sit in a low-squat. Carrying the kids around the house is a way to practice my posture and breathing with a heavy load. Playing outside has become a more participatory activity as opposed to just supervisory. 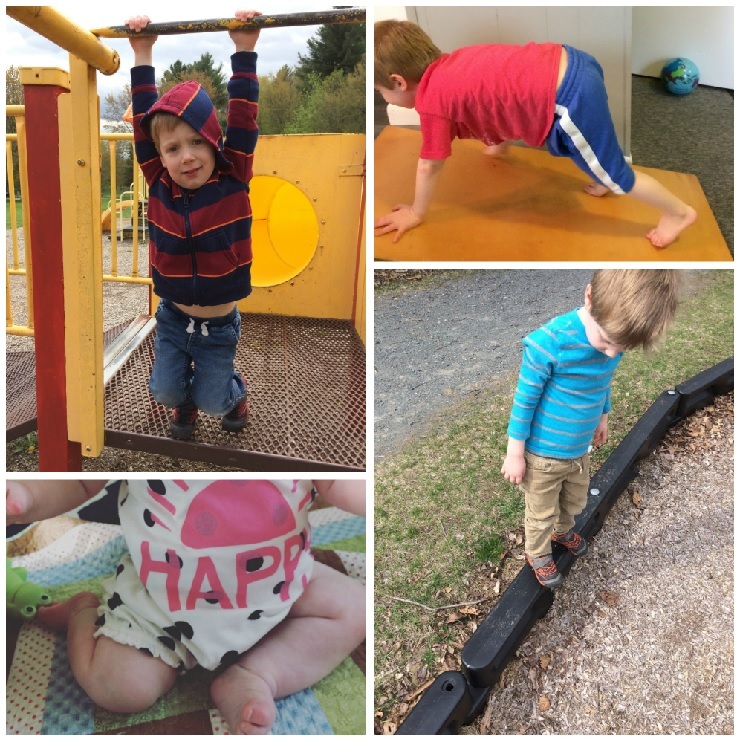 Kids move naturally all day long without any instruction or prompting. It’s nice to watch how this occurs from an analytical perspective, but it’s even more rewarding to use what I’ve learned to join in the fun. Beyond being useful in my profession, the MovNat course was a paradigm shift in how I personally train. It’s been immensely helpful to incorporate the principles Danny taught us on how to program and organize a MovNat training session. I had been exercising on my own leading up to the cert, but a bit haphazardly. It’s much more effective to use the programming formula suggested: Ground Mobility Warm Ups, Movement Focus Session, Movement Combo, and Cool Down. Another side note: One of the criticisms I hear from people looking at MovNat is that it seems too chaotic as they watch people running through the woods. This couldn’t be further from the truth. The level of specificity and use of solidly proven scientific training methods is abundantly evident throughout. We went over programming specifics during the course. It wouldn’t have felt out of place in a certified strength and conditioning clinic. Here’s an example of how I’ve applied this programming approach to my workout. This week, I started off my workout with a 5-10 minute warmup of ground movement: holding positions then slowly building up more speed and effort to get my body ready for the work ahead. Following the warm-up, I choose to concentrate on strength based movements for the focus portion where I alternated between a loaded squat and controlled balance reaching for lateral targets. I took longer rests between movements to allow my body time to recover. I moved slowly and mindfully, keeping attention on my posture, my breathing, and the sensation of my points of contact with the ground. For the final part of my workout, I did a combo of movements with little rest between rounds to maximize my overall conditioning. I began with a deep knee bend on a raised box. A jump down and balanced landing was followed by a narrow traverse. 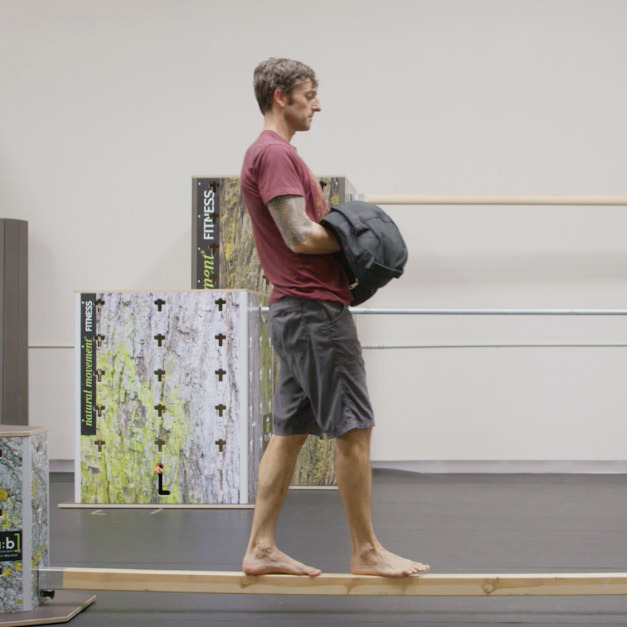 A single arm carry on the balance beam with was preceded by hand-foot crawling for 15 feet. I hopped onto my pull-up bar to do a foot pinch several times to either side, then back to the start. Note: You can click here to learn how to put together your own MovNat workout. The equipment I own to do this workout is pretty minimal and fits in my house without taking up a lot of extra space. I purchased a balance beam from the hardware store for 6 dollars. I stuff it under my couch. I have a kettlebell for loaded weight activities; a pull-up bar secured over my bedroom doorway; and a plyo-box that can double as a footrest for the couch. Having a programming format to follow with the MovNat training has kept me focused and made it more variable and interesting. By following this basic layout I’m able to incorporate more movements across multiple domains into each of my workouts. If I only have time for a short session I follow the same order and only do as many parts of the routine as I have time for. For example, I might only do the warm-up portion with ground movement, then call it a night. Or, I might have time for the warm-up and just the focus session and not do a full combo. Of course, it’s also nice to just go for a run through the woods and play around with whatever comes up, but I like having the basic organization to work from. Although I love all the programming and technical details, the biggest influence for my own personal practice is the change in my mind set. I worked throughout grad school as a lifeguard and I was well aware that physical capacity can make a big difference in big moments. The abilities to run, jump, swim and lift had been impressed in my mind as important skills to have in practical situations. But I hadn’t made the connection that all of life is made up of movement that is important. There are no unimportant or mundane movements. It isn’t always the big, fun, exciting movements that are significant. Sometimes the little things count the most. I remember watching my 90 year-old grandmother getting onto the floor one Christmas to play with her great-grandchildren. I asked her in astonishment what in the world she was doing on the ground. At the time it seemed so strange that at her age she was getting up and down to the floor. Her response has stuck with me since then, “if you want to play with the kids you have to be willing to go where they are”. Natural movement is a critical ingredient to how I would like to live my life. When I’m training in my living room carrying a weight, balancing, focusing on my posture and breathing, I know how practical these movements can be in day-to-day life. I’m paying attention to the little details while training so I can be capable of moving when it really matters.